There are many wild adventures to be had in a rainforest. First decide what kind of rainforest you would like to explore. There are many dangers lurking in the rainforest. You’ll need to be brave. Very brave. And fast. There are 2 types of rainforests: Tropical rainforests are found near the equator in places like Southeast Asia, the Pacific Islands, Brazil, and West Africa. Temperate rainforests are along the Pacific coast of North America and South America, parts of New Zealand, Australia, Japan, and Norway. 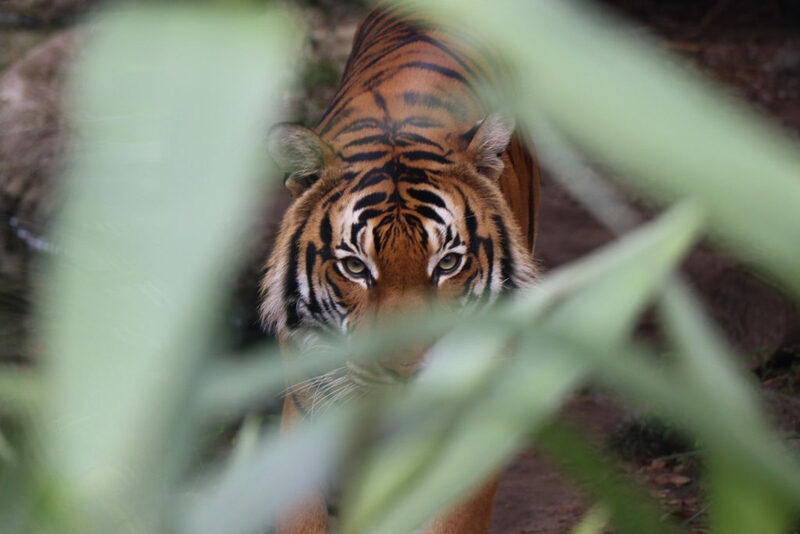 In the tropical rainforests on the island of Sumatra in Southeast Asia, we might be stalked by a Sumatran tiger! This is the smallest species of tiger, but still a formidable hunter so be alert at all times. How could you escape? Don’t bother jumping into the river—tigers swim. Come up with something else. In the islands of Malaysia we could see a Malaysian tiger. Chances are, though, he’ll see us first. There are 5 tigers subspecies in the rainforests: Sumatran, Malayan, Bengal, Indochinese, and South-China. If you want to see a Siberian (aka Amur) tiger, you’ll need to leave the rainforest and head north to Asia’s coniferous (pine tree) forests. Tigers are critically endangered animals, so let’s not hurt them. If you saw a tiger in trouble, what would you do? Remember, you want to live to tell about it, so don’t get risk becoming a tiger snack. Another animal to watch out for in the rainforest is the king cobra. This is the longest venomous snake in the world at around 18 feet (over 5m) in length. It prefers to eat very small mammals. You’re not very small, are you? Ahhh, isn’t the loris cute? Can you trust cute? 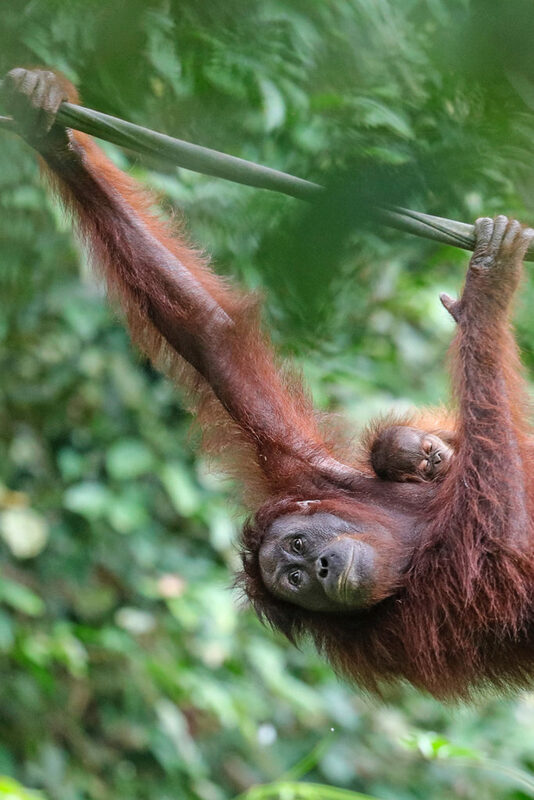 You could swing through the rainforest with orangutans. How far would you go? 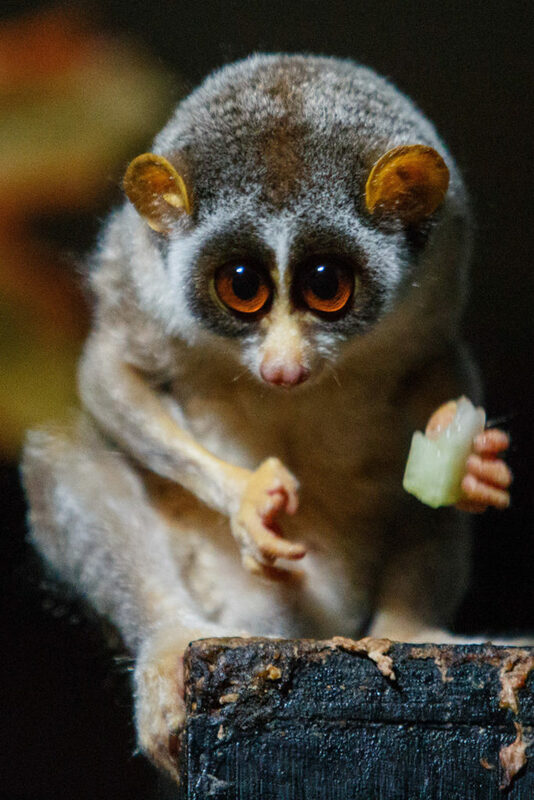 While in Southeast Asia’s rainforests, we can also keep a look out for orangutans, proboscis monkeys, and little primates called the slender lorises.